The gravitational forces the Moon and Sun exert are responsible for Earth’s rising and falling tides. Earth’s gravity also exerts forces on the Moon in the form of solid body tides that distort its shape. The Moon is slowly receding away from Earth and forces build as the Moon’s tidal distortion diminishes with distance and its rotation period slows with time. 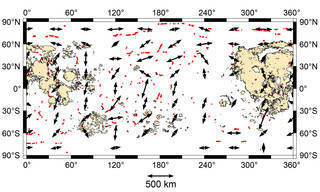 These tidal forces combined with the shrinking of the Moon from cooling of its interior have influenced the pattern of orientations in the network of young fault scarps. 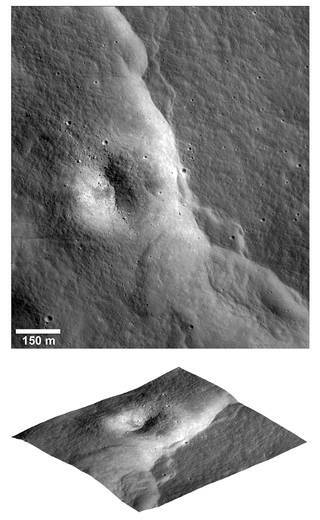 In August, 2010, researchers using images from LRO’s Narrow Angle Camera (NAC) reported the discovery of 14 cliffs known as “lobate scarps” on the moon’s surface, in addition to about 70 previously known from the limited high-resolution Apollo Panoramic Camera photographs. Due largely to their random distribution across the surface, the science team concluded that the moon is shrinking. These small faults are typically less than 6.2 miles (10 kilometers) long and only tens of yards or meters high. They are most likely formed by global contraction resulting from cooling of the moon’s still hot interior. As the interior cools and portions of the liquid outer core solidify, the volume decreases; thus the moon shrinks and the solid crust buckles. Global contraction alone should generate an array of thrust faults with no particular pattern in the orientations of the faults, because the contracting forces have equal magnitude in all directions. “This is not what we found,” says Smithsonian senior scientist Thomas Watters of the National Air and Space Museum in Washington. “There is a pattern in the orientations of the thousands of faults and it suggests something else is influencing their formation, something that’s also acting on a global scale — ‘massaging’ and realigning them.” Watters is lead author of the paper describing this research published in the October issue of the journal Geology. The other forces acting on the moon come not from its interior, but from Earth. These are tidal forces. When the tidal forces are superimposed on the global contraction, the combined stresses should cause predictable orientations of the fault scarps from region to region. “The agreement between the mapped fault orientations and the fault orientations predicted by the modeled tidal and contractional forces is pretty striking,” says Watters. The fault scarps are very young – so young that they are likely still actively forming today. The team’s modeling shows that the peak stresses are reached when the moon is farthest from Earth in its orbit (at apogee). 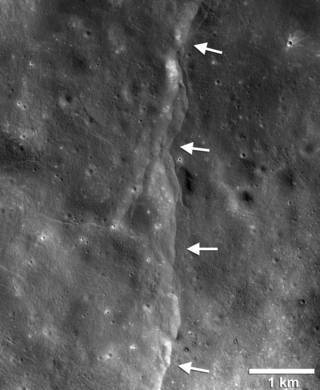 If the faults are still active, the occurrence of shallow moonquakes related to slip events on the faults may be most frequent when the moon is at apogee. This hypothesis can be tested with a long-lived lunar seismic network. 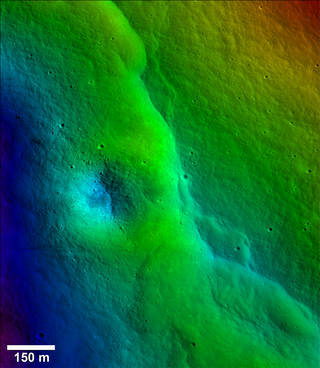 “With LRO we’ve been able to study the moon globally in detail not yet possible with any other body in the solar system beyond Earth, and the LRO data set enables us to tease out subtle but important processes that would otherwise remain hidden,” said John Keller, LRO Project Scientist at NASA’s Goddard Space Flight Center, Greenbelt, Maryland. 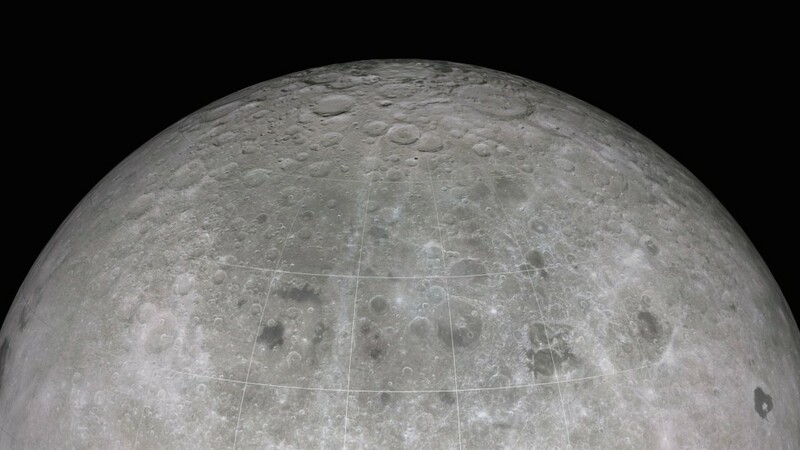 Launched on June 18, 2009, LRO has collected a treasure trove of data with its seven powerful instruments, making an invaluable contribution to our knowledge about the moon. 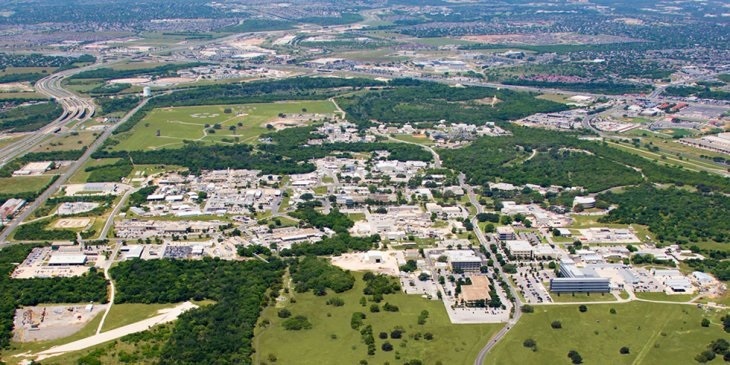 LRO is managed by NASA’s Goddard Space Flight Center in Greenbelt, Maryland, under the Discovery Program, managed by NASA’s Marshall Space Flight Center in Huntsville for the Science Mission Directorate at NASA Headquarters in Washington, DC. 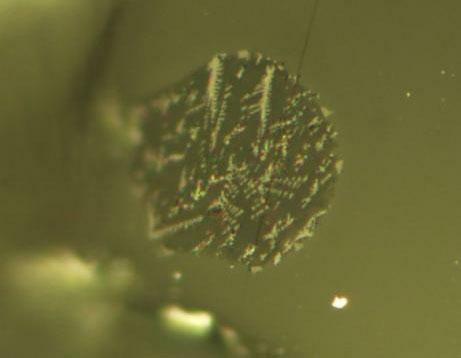 Tiny beads of volcanic glass found on the lunar surface during the Apollo missions are a sign that fire fountain eruptions took place on the Moon’s surface. Now, scientists from Brown University and the Carnegie Institution for Science have identified the volatile gas that drove those eruptions. Fire fountains, a type of eruption that occurs frequently in Hawaii, require the presence of volatiles mixed in with the erupting lava. Volatile compounds turn into gas as the lavas rise from the depths. That expansion of that gas causes lava to blast into the air once it reaches the surface, a bit like taking the lid off a shaken bottle of soda. For many years, the Moon was thought to be devoid of volatiles like hydrogen and carbon. It wasn’t until the last decade or so that volatiles were definitively detected in lunar samples. In 2008, Saal and colleagues detected water in lunar volcanic beads. They followed that discovery with detections of sulfur, chlorine and fluorine. 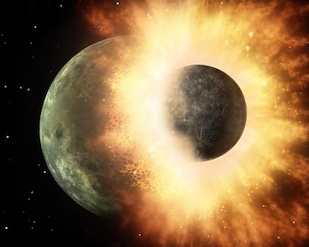 While it became apparent that the Moon was not completely depleted of volatiles as was once thought, none of the volatiles that had been detected were consistent with fire fountain eruptions. For example, if water had been the driving force, there should be mineralogical signatures in recovered samples. There are none. If volatile reservoirs on the Earth and Moon do indeed share a common source, it has implications for understanding the Moon’s origin. Scientists believe the Moon formed when Earth was hit by a Mars-size object very early in its history. Debris from that impact accreted to form the Moon. “The volatile evidence suggests that either some of Earth’s volatiles survived that impact and were included in the accretion of the Moon or that volatiles were delivered to both the Earth and Moon at the same time from a common source — perhaps a bombardment of primitive meteorites,” Saal said. Other authors on the paper were Diane Wetzel, a graduate student at Brown, and Malcolm Rutherford, professor of geological sciences. The study was supported by NASA’s LASER program (NNX08AY97G and NNX11AB27G), NASA’s Cosmochemistry program (NNX12AH62G), the Deep Carbon Observatory, and the Carnegie Institution of Washington. A NASA-funded research team led by Dr. Bill Bottke of Southwest Research Institute (SwRI) independently estimated the Moon’s age as slightly less than 4.5 billion years by analyzing impact-heated shock signatures found in stony meteorites originating from the Main Asteroid Belt. Their work will appear in the April 2015 issue of the journal Science. Two frames that show a mapping of final material states of the Moon-forming impact event. Here it is assumed that a Mars-sized protoplanet, defined as having 13% of an Earth-mass, struck the proto-Earth at a 45 degree angle near the mutual escape velocity of both worlds. The “red” particles, comprising 0.3% of an Earth-mass, were found to escape the Earth-Moon system. Some of this debris may eventually go on to strike other solar system bodies like large main belt asteroids. “Yellow–green” particles go into the disk that makes the Moon. “Blue” particles were accreted by the proto-Earth. The first frame shows the mapping onto the pre-impact states of the Moon-forming impactor and proto-Earth. The second frame shows the mapping nearly 20 minutes into the impact event. The details of this simulation can be found in Canup, R. (2004, Simulations of a late lunar-forming impact, Icarus 168, 433–456). A meteorite fragment found after a 17–20 meter asteroid disrupted in the atmosphere near Chelyabinsk, Russia on Feb. 15, 2013. 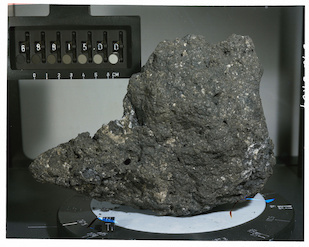 The blast wave produced by this event not only caused damage over a wide area but also created a strewn field of stony meteorites like this one. The meteorite is an ordinary chondrite (type LL5). It shows a beautiful contact between impact melt (dark material at top of image) and chondritic host (light material at bottom of image). Chondrules (circular features) are visible in the chondritic host at the bottom and right-hand side of the image. Portions of the chondrite were broken or otherwise separated and have migrated into the impact melt. The impact melt is estimated to be 4452±21 (Popova et al. 2013) and 4456±18 million years old (Lapen et al. 2014). These ages match the ~4470 million year old age of the Moon predicted by our model. We argue these impact melts were likely created when high velocity debris from the Moon-forming impact hit the parent asteroid of the Chelyabinsk bolide and heated near-surface material. (Image credit: Vishnu Reddy, Planetary Science Institute). For almost 30 years, planetary scientists have been quite happy with this explanation—with one major exception. Although this scenario makes sense when you look at the size of the moon and the physics of its orbit around Earth, things start to break down a little when you compare their isotopic compositions—the geological equivalent of a DNA “fingerprint.” Specifically, Earth and the moon are too much alike. This research was supported by NASA (Award No. NNX13AF83G). 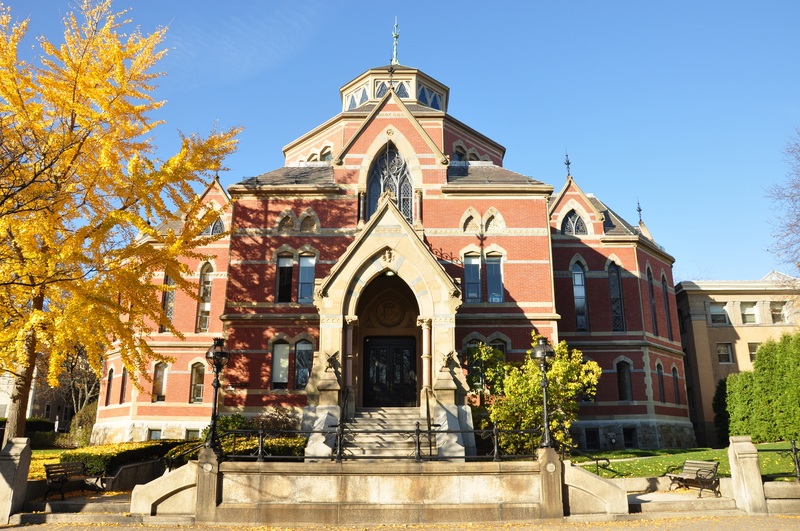 The content of this article does not necessarily reflect the views of this organization. The research paper, Tungsten isotopic evidence for disproportional late accretion to the earth and moon, Mathieu Touboul, Igor Puchtel and Richard Walker, was published on April 8, 2015, in the Advance Online edition of the journal Nature. After the sun spun to light, the planets of the solar system began to form. But it took another hundred million years for Earth’s moon to spring into existence. There are three theories as to how our planet’s satellite could have been created: the giant impact hypothesis, the co-formation theory and the capture theory. This is the prevailing theory supported by the scientific community. Like the other planets, the Earth formed from the leftover cloud of dust and gas orbiting the young sun. The early solar system was a violent place, and a number of bodies were created that never made it to full planetary status. According to the giant impact hypothesis, one of these crashed into Earth not long after the young planet was created. Known as Theia, the Mars-size body collided with Earth, throwing vaporized chunks of the young planet’s crust into space. Gravity bound the ejected particles together, creating a moon that is the largest in the solar system in relation to its host planet. This sort of formation would explain why the moon is made up predominantly of lighter elements, making it less dense than Earth — the material that formed it came from the crust, while leaving the planet’s rocky core untouched. As the material drew together around what was left of Theia’s core, it would have centered near Earth’s ecliptic plane, the path the sun travels through the sky, which is where the moon orbits today. Moons can also form at the same time as their parent planet. Under such an explanation, gravity would have caused material in the early solar system to draw together at the same time as gravity bound particles together to form Earth. Such a moon would have a very similar composition to the planet, and would explain the moon’s present location. However, although Earth and the moon share much of the same material, the moon is much less dense than our planet, which would likely not be the case if both started with the same heavy elements at their core. Perhaps Earth’s gravity snagged a passing body, as happened with other moons in the solar system, such as the Martian moons of Phobos and Deimos. Under the capture theory, a rocky body formed elsewhere in the solar system could have been drawn into orbit around the Earth. The capture theory would explain the differences in the composition of the Earth and its moon. However, such orbiters are often oddly shaped, rather than being spherical bodies like the moon. Their paths don’t tend to line up with the ecliptic of their parent planet, also unlike the moon. Although the co-formation theory and the capture theory both explain some elements of the existence of the moon, they leave many questions unanswered. At present, the giant impact hypothesis seems to cover many of these questions, making it the best model to fit the scientific evidence for how the moon was created. Conceptual illustrations of the birth of the moon. A privately funded robotic moon mission intends to drill deep beneath the lunar surface in 2024, both to advance understanding of the solar system and to inspire future generations to get more involved in space science and exploration. Artist’s concept of the robotic Lunar Mission One touching down at the moon’s south pole in 2024. If all goes according to plan, the newly announced Lunar Mission One will drill at least 65 feet (20 meters) — and perhaps as much as 330 feet (100 m) — underground at the moon’s south pole in 2024, collecting samples that should shed light on the formation of the Earth and moon, as well as the feasibility of a manned lunar outpost in the area, project organizers said. Going so deep underground will give scientists a look at pristine ancient rock untouched by cosmic radiation or meteorite impacts over the eons, the mission representatives added. “Lunar Mission One will make a huge contribution to our understanding of the origins of our planet and the moon, and will inspire a generation to learn more about space, science and engineering, in the same way that my generation was inspired by the Apollo moon landings,” David Iron, founder of Lunar Missions Ltd. and the Lunar Missions Trust, said in a statement. While the unmanned Lunar Mission One was just announced publicly Tuesday evening (Nov. 18), it has been in the works for the past seven years, project officials said. Artist’s concept of the privately funded Lunar Mission One drilling deep into the moon’s south pole. Mission representatives hope to collect samples from at least 65 feet (20 meters) underground. The United Kingdom-based mission aims to pay for its ambitious activities in several different ways, starting with a Kickstarter campaign that launched on Tuesday. Organizers hope the crowdfunding effort will raise about $950,000, which would fund initial development operations. People will also be able to purchase “digital memory boxes” — giving participants the chance to contribute to a time capsule that Lunar Mission One plans to bury as part of its work at the south pole of the moon. This time capsule will also contain a record of life on Earth and a chronicle of human history and civilization, project organizers said. Sales of digital memory boxes will continue for years, and mission representatives are counting on big international participation. Market research suggests that 1 percent of people around the world who can afford a digital memory box will buy one, potentially resulting in revenues of about $4.7 billion, mission representatives said. Any surplus money raised will be put into a charitable trust dedicated to funding future space science and exploration activities, the organizers added. Lunar Missions Ltd. runs Lunar Mission One with the assistance of a number of partner organizations, including RAL Space (part of the United Kingdom’s Science and Technology Facilities Council), University College London, The Open University in the United Kingdom and the Institute of Education in London. To learn more about Lunar Mission One, go to http://www.lunarmissionone.com.